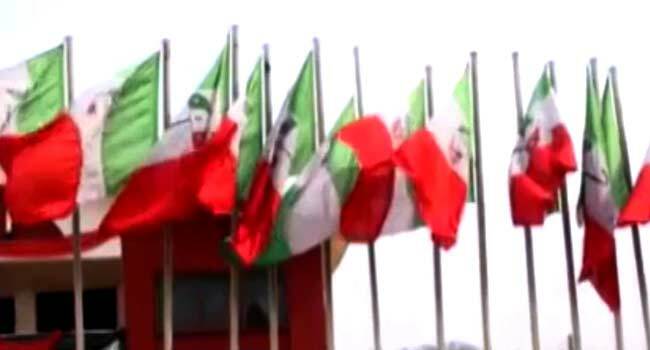 The Peoples Democratic Party (PDP) has welcomed into its fold the members of the Reformed All Progressives Congress (R-APC) who defected to the party in the National Assembly. They described the lawmakers’ departure from the APC as a right step towards rescuing Nigeria’s democracy. In a statement on Tuesday in Abuja by the party’s National Publicity Secretary Kola Ologbondiyan, they accused the APC of caring less about the people who voted them into office. They claimed that the ruling party has become a sinking ship, saying any Nigerian that was concerned about the future of the country must desert such. The PDP purported that the political reality of the nation has shown to the entire world that President Muhammadu Buhari’s government has been abandoned by the people. “Nigerians now look up to the PDP to provide a leadership that would guarantee good governance in 2019,” they said. The opposition party further congratulated the Senate President, Dr Bukola Saraki, his deputy, Senator Ike Ekweremadu, and Speaker of the House of Representatives, Mr Yakubu Dogara, for taking bold steps on the side of the people. The party assured all the lawmakers of cooperation within the PDP, noting that more Nigerians would still move into their fold which they said has become a party of choice. Earlier, embattled Senator Dino Melaye, former Governor Rabiu Kwankwaso and 11 other APC senators defected to the PDP. The rest included Senators Suleiman Hunkuyi (Kaduna), Abdulazeez Nyako (Adamawa), Barnabas Gemade (Benue), and Ibrahim Dambaba (Sokoto), among others. Similarly, the defection of 37 members of the House of Representatives led to a rowdy session. They were Danburam Nuhu, Mark Gbilah, Razak Atunwa, Ahmed Garba Bichi, Abdulsamad Dasuk, Zakari Mohammed, Sani Rano, Barry Mpigi, Ali Madaki, Dickson Tackighir, and Hassan Saleh, among others. The APC leadership had reacted to the development saying they were not bothered by the defection while President Buhari wished the lawmakers well in their future endeavours.